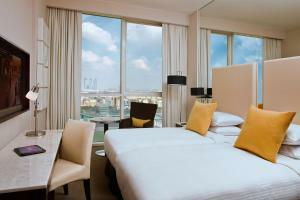 Centrally located in Abu Dhabi, the 3-star Centro Al Manhal by Rotana is only 2 minutes walking to al Wahda Mall and 5 minutes walking to the main bus terminal. 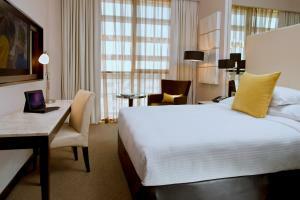 It has free WiFi in public areas, a 24-hour front desk, a gym, and an outdoor pool with cushioned loungers. 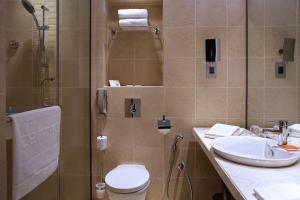 Centro Al Manhal’s spacious rooms have a private bathroom with toiletries and a hairdryer. Each comes with a work desk with a leather chair. Floor-to-ceiling windows, white linens, and wooden furniture are part of the modern décor. Guests can enjoy a 3-course meal at the C.Taste restaurant. Drinks and light snacks are available at the bar. It also features a deli takeaway restaurant. The Abu Dhabi Bus Station is a 5-minute walk from Centro Al Manhal by Rotana. Al Wahda Mall is just 2 minutes' walk away. 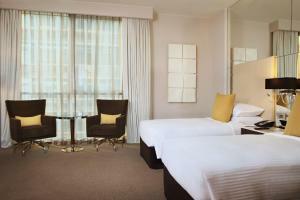 Guests can enjoy complimentary WiFi in public areas and free parking. Please note that an additional deposit is required upon check-in. 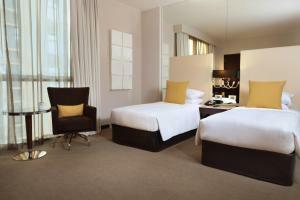 Guests are kindly requested to contact the hotel prior to arrival for further details. Contact information can be found on the booking confirmation. 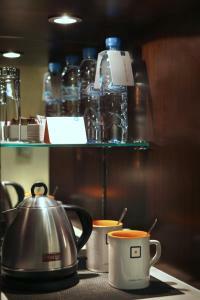 Please note that there is an additional 10 AED tourism fee per room per unit per night payable at the hotel directly. Please note that due to payment procedures, debit cards cannot be used at the time of booking. You must use a valid credit card at the time of booking. Debit cards can only be used upon arrival at the property. Please note that one car per room is allowed for parking. Guests are required to show a photo identification and credit card upon check-in. Please note that all Special Requests are subject to availability and additional charges may apply.